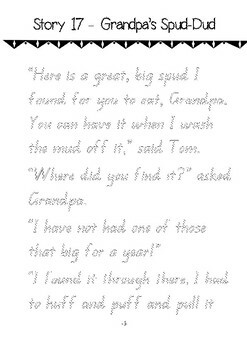 Sight Words, CVC Words and tailored stories to practice! 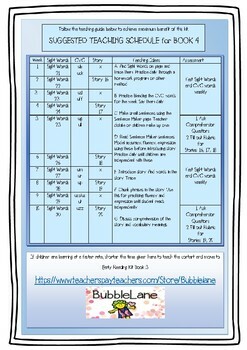 Comprehension Questions and a rubric for assessment all in one kit! This is a systematic guided reading program to help early and struggling readers get on their way! 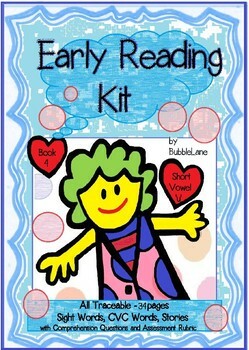 Even early readers can read with fluency and expression with my Early Reading Kit Series! This is Book 4 in the series. Books 1, 2 and 3 are recommended to purchase first as the sight word and CVC words are accumulative throughout the series. In this kit, students do not learn sight words or cvc words in isolation, but have an opportunity to apply their knowledge with a fun traceable story every fortnight to practice their new reading skills. 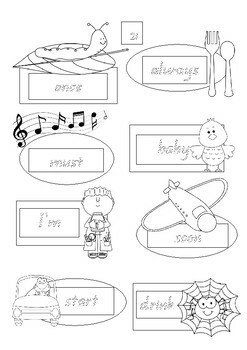 A couple of quick reading comprehension cards are included at the end of the kit and I’ve included a Reading Assessment Rubric to assist you locate where your student needs more teaching focus whether it be accuracy, expression, fluency or comprehension. For other books in this series, purchase from My Store.